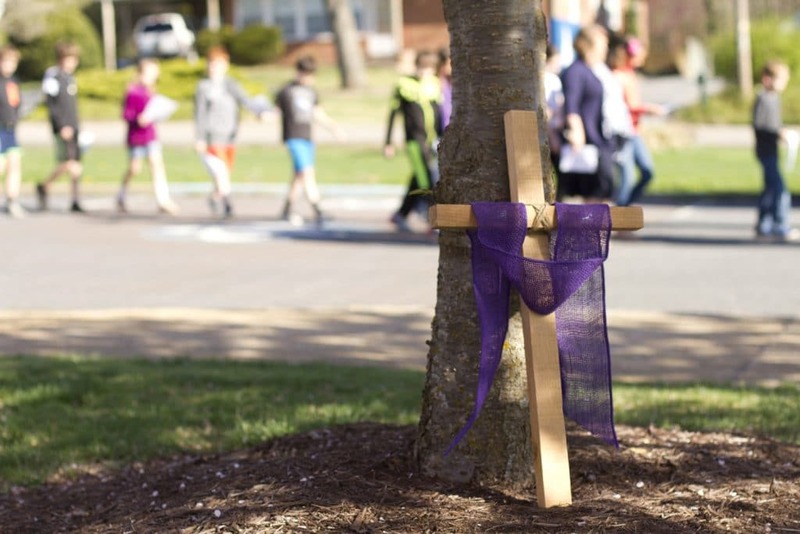 Across divisions, students are challenged daily to consider how to live as followers of Jesus. We learn, worship, pray, eat, sing and play together. We encourage each other in hard times and celebrate each others’ accomplishments. We look beyond ourselves and our own community to how we serve others. Big and little brother/sister pairs. 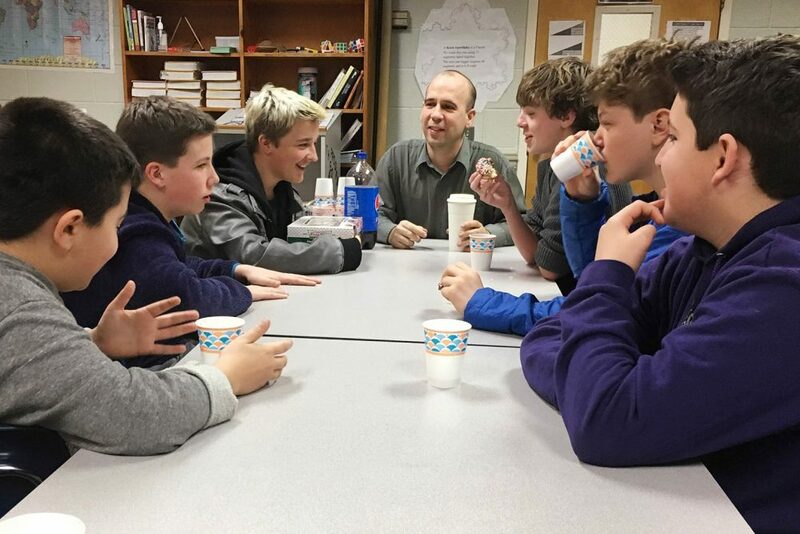 Middle school students mentor elementary students. Juniors and seniors are paired with new middle school students. Student ambassadors, nominated by teachers, host guests and represent the school in various settings. Chapel for grades 6-12, to hear guest speakers, sing, learn about issues, worship and pray. Weekly Neighbor Groups discuss school-wide issues, personal concerns, and current events. 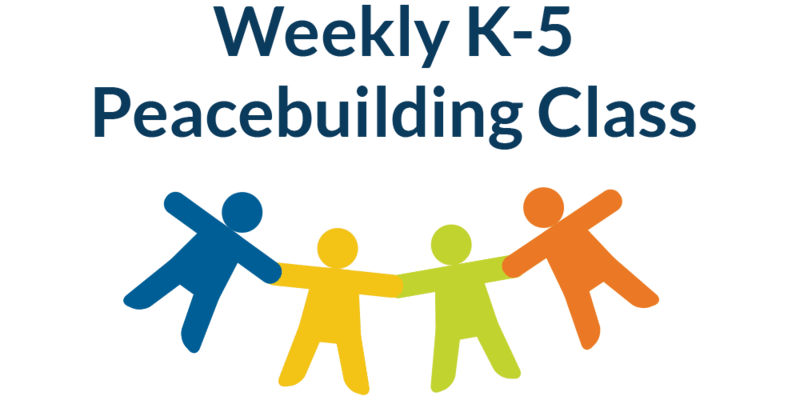 Weekly K-5 Gathering, international meals and peacebuilding class. Bible teachers in all divisions use the Encounter curriculum developed by the Mennonite Education Agency. Encounter focuses on holistic faith formation through encounters with God, each other and creation. Elementary students use the Encounter curriculum as well as a peacebuilding curriculum. Concepts are integrated through the school's life together. 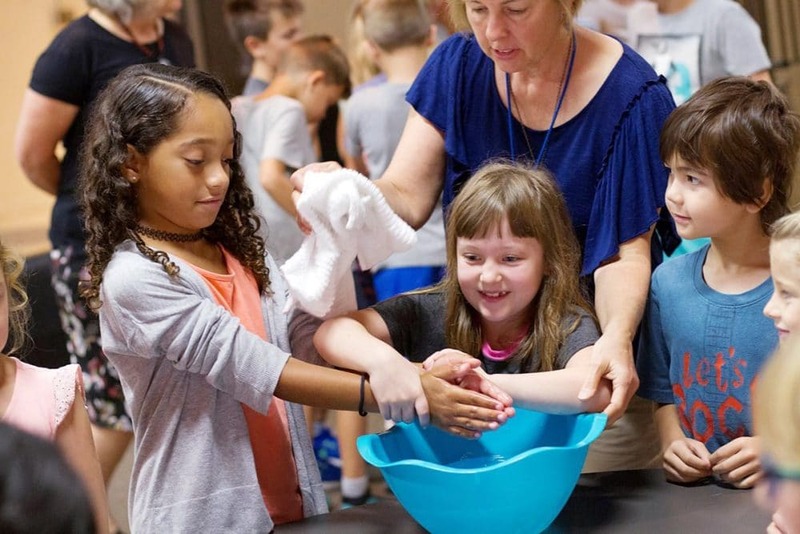 Service to others — close to home and around the world – is emphasized at all grade levels. 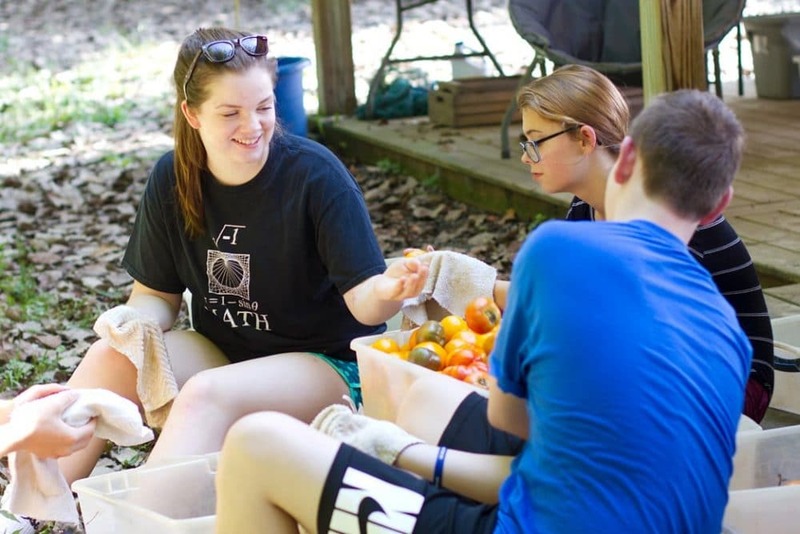 “Service” is broadly defined to include acts of kindness to peers, respect to teachers, as well as hands-on experiences. These include a school-wide community service day, and smaller groups doing trash clean up, making meals for a homeless shelter, reading to preschoolers, volunteering at a thrift shop, or raising money to purchase supplies for refugee kits. We Serve is a club that raises money to do service projects at least monthly. National Honor Society students complete community service hours as part of their responsibilities.